LeBron James recently said he regrets giving his son his name because of all the pressure that comes with it. However, whatever struggles LeBron Jr. may be dealing with behind closed doors, from the outside it looks like the kid is doing just fine. 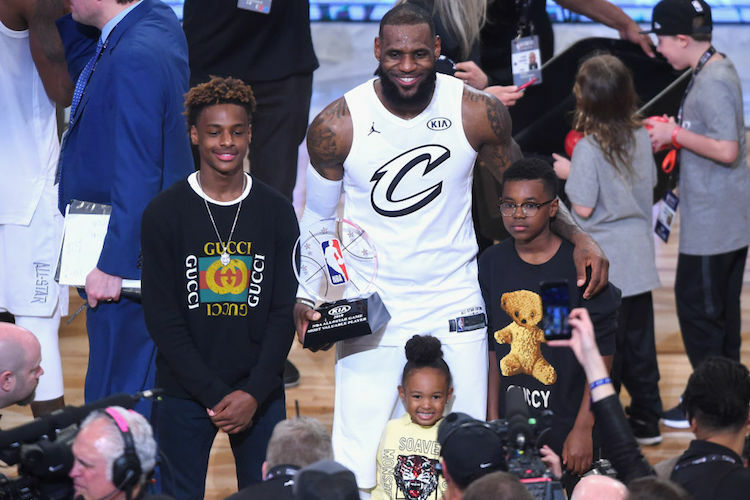 Bronny is just 14 years old, but he’s already established himself as a basketball phenom with a huge following. For the past several months he’s been inching closer and closer to dunking the ball for the first time. And this weekend he finally did it. Before his AAU team’s semifinal game at the Bigfoot Hoops Las Vegas Classic on Sunday, Bronny bounced a pass to himself, timed his jump perfectly, and slammed the ball home with one hand. Obviously dunking in practice and dunking in a game are two different things. But dunking at all at the age of 14 is insane. You can bet some NBA teams are already planning how they’ll tank in four years so they can draft this kid.